Dream Living luxuries 5 Bedroom Villa in Al Gurm. ! 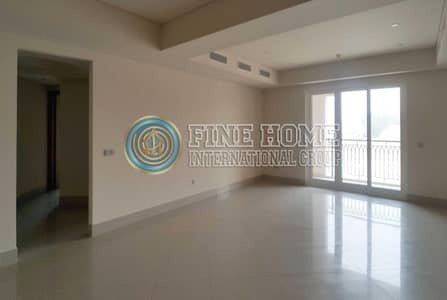 Amazing 1 BR Apartment in Gurm Corniche. Looking to buy a property in Al Gurm instead? A busy metropolis, Abu Dhabi is the capital of the United Arab Emirates (UAE) and considered as one of the most popular residential and commercial destinations in the country. 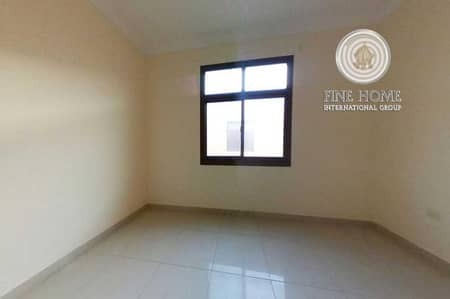 The properties in Abu Dhabi have contributed a lot to the development of the city because of which Abu Dhabi now stands as the second richest economy of UAE. Al Gurm is an élite villa destination in Abu Dhabi developed by Aldar, a leading property dealer and developer in the UAE. The community was developed in two phases; first, the residential side was developed, which consists of island and waterfront villas and then the commercial side came to existence. Al Gurm houses a mixed community consisting of expats from around the world and locals who work in Abu Dhabi, Sharjah and Dubai. Al Gurm is a complete dynasty of villas resting among mangrove forests and sandbanks off the island. Coming in 3, 4 and 5-bedroom settings, the villas in Al Gurm feature a spacious outdoor deck and infinity pools with boat moorings to make the most of the waterside setting; some of the houses are even blessed with a private beach. Flaunting a nice blend of Asian and Mediterranean architecture, interiors are furnished with superior quality decorations and marble flooring. Each house has a separate maid’s room, ultra-modern kitchens with proper cabinets and marble counters and well-lit bathrooms with good sanitary fittings. Keeping all these things in mind, one can expect to live a healthy and luxurious life inside these villas. The rent in Al Gurm is considerably on the lower spectrum compared to overall trends in the real estate market of Abu Dhabi. Residents can avail affordable accommodation with flexible payment schedules along with world-class amenities by Aldar. 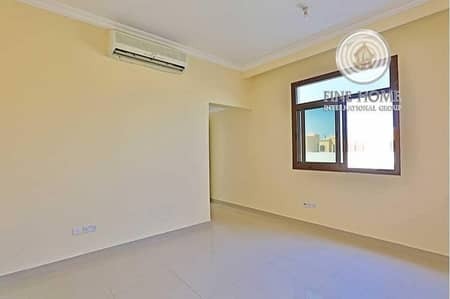 4-bedroom villas for rent will cost you anywhere between AED 155,000 and AED 515,000 per annum, where the covered area spans approximately around 2,599 sq. ft. to 7,150 sq. ft. 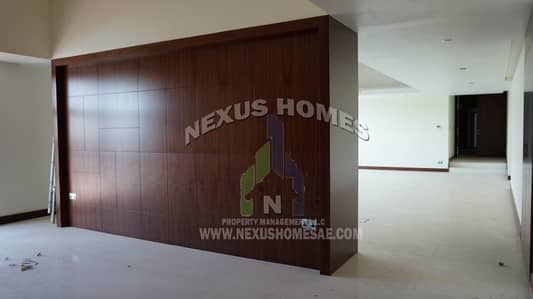 If you opt for a 5-bed house in Al Gurm, covering an area of 4,013 sq. ft., the rental cost would be somewhere between AED 220,000 and AED 700,000 per annum. One can compare the prices of Al Gurm with other neighbouring districts, such as Al Qurm, Al Maqtaa, and Al Muroor. Since Al Gurm is still developing its commercial side of the community, one can expect to see many waterfront entertainment spots, parks, schools, offices and other commercial spaces in the near future. The major highlight of the district at the moment is Al Gurm Resort, which has 73 private villas and a five-star resort with 163 suites. The resort is fenced by rich flora and fauna, which creates a tranquil environment. Club So-Hi, Al Bateen Beach and Waves are also some of the hottest leisure destinations nearby. Moreover, this residential district is 7.3 kilometres away from Al Bateen Executive Airport and the Sheikh Zayed Grand Mosque Center. If you want to live closer to nature, amidst the comforting shade of mangroves with soothing views of the beach, Al Gurm is an option worth considering. The extensive range of exclusive villas here are built with fine quality finishes and residents get to enjoy world-class amenities including infinity pools, spacious halls and one of a kind master bedrooms. To sum it all up, residents of this community get to enjoy a stunning development, well-planned infrastructure and affordable rental ranges. I am looking for Properties to rent in Al Gurm, Abu Dhabi, UAE. Please let me know about any suitable properties you have. Thank you.